I (S) bought (V) a new computer (O). She (S) doesn't like (V) dogs (O). 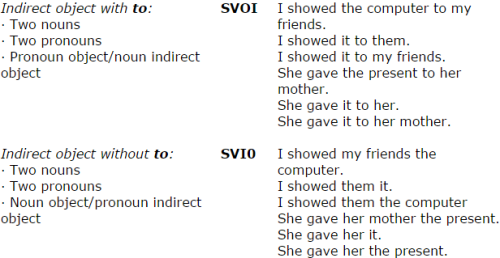 Why did you (S) do (V) that (O)? Many English sentences also contain adverbials. The problem for the English learner is that some adverbials can be located in different places within the sentence, while other adverbials must appear in one place only. For example, it is correct to say both: I very quickly did my homework .. and I did my homework very quickly .., but only I did my homework in a hurry ..is possible. I in a hurry did my homework .. is wrong. LearnFrenzy provides you lots of fully solved "Ordering of Words" Questions and Answers with explanation.